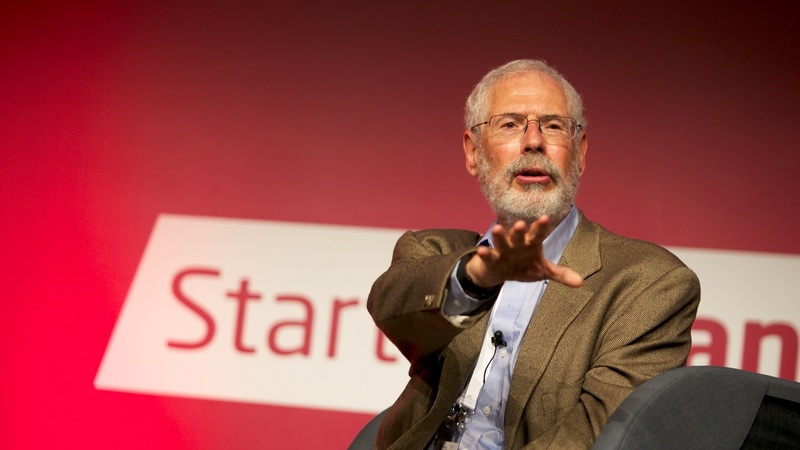 Steve Blank is a Silicon Valley serial entrepreneur and academic who is recognised for developing the Customer Development methodology that launched the Lean Startup movement. We spoke with Steve about the past, the present and the future of the startup movement. You have been in the technology industry for over 30 years, working in multiple companies, IPOs and more. But there may be two or three of our readers who don’t know who you are. Could you give us a brief intro in your own words? Sure! For the first half of my career I was an entrepreneur – a practitioner. I did 8 startups in 21 years, including 4 IPOs. More importantly, I had 2 failures, one of them a very large one. That made me think about the nature of innovation and entrepreneurship. When I retired 19 years ago, I started thinking that we needed a methodology for innovation and entrepreneurship, but none existed. So the second half of my career has been as an educator at Stanford, Columbia and Berkeley, coming up with something called the Lean Startup movement. It provides entrepreneurs with tools and techniques to build companies and has now been adopted by companies, corporations and governments. What kind of key findings have come up, and how has the Customer Development method evolved since you created it? There have been a couple of interesting things. As you mentioned, Customer Development was my observation that investors in the 20th century treated startups like they were smaller versions of large companies. It turns out that’s not true. Large companies, at their core, execute their own business models, but startups search for a business model. This distinction between search and execution had never been articulated before; once you start describing it, you realise that what we needed to do was build tools to search for facts about hypotheses we have as entrepreneurs: Who are the customers? Who are the competitors? What’s the right channel? What’s the right pricing? What’s the right product? To do that, we needed a methodology, which I built, called Customer Development. Customer Development is built on the idea that there are no facts inside your building, so get outside! Results are built on the idea that a startup is a temporary organisation designed to search for a repeatable and scalable business model. This is all about searching for the business model. What has changed since Customer Development is this notion that there is a way to formulize a business model on a single piece of paper – it was best articulated by Alexander Osterwalder. I started by using Osterwalder’s business model as a diagram of what it is you are searching for: articulate your hypotheses, put them on the wall, then get out of the building and use Customer Development. The third thing that happened was that one of my students, Eric Ries, pointed out that in the 21st century people don’t use waterfall engineering, they use agile engineering. So agile became the third part of what became Lean Startup. If you use agile engineering and build products iteratively and incrementally, you can build what we call the “Minimum Viable Product”. Those three components – the business model canvas from Osterwalder, my Customer Development process, and Ries’ agile engineering observations – together became what is called The Lean Startup. What else has changed is that by about 2013 large companies realised they were being disrupted at a rate they had never seen before in the history of corporations. Not only by startups, but by changes in the economy and technology. They were looking about trying to figure out what tools and techniques they could use, and the cover of the May 2013 Harvard Business Review featured an article called “Why The Lean Startup Changes Everything”. I couldn’t believe it! There’s the phrase: this will happen when hell freezes over. Well, it froze over! Large companies, who had always ignored startups with an attitude of “that’s nice, but we don’t do that”, realised that they needed to act, at least on the periphery, as quickly as startups. Now we see the world in Continuous Disruption. Corporations that would have followed Jack Welch’s rules from GE in the 20th century don’t follow them now. Follow those rules today and you will be out of business, not because Jack Welch was stupid, but because the environment has changed so radically for a large corporation. The third change is that governments are also realising now that they are being continually disrupted, much like companies. They are all facing this need for continuous innovation. It turns out that startups have built a process to do all that and we have a formal methodology. We have some tools and it turns out they are applicable for corporations and governments as well. I don’t think it has hit Europe yet, but it will. The two biggest changes I’ve seen in startups in the last 3 years in the United States are, firstly, the enormous size and scale of investments coming from players that you would never have expected. SoftBank and the National Fund of Saudi Arabia are putting hundreds of millions of dollars into Series A funding. It’s unbelievable! If you put a couple of hundred million dollars into a startup, all your competitors go away – the theory is that if your competitors have only raised 10 million dollars, you could wipe them out. I don’t know if that’s true, but that is the game being played on a scale that no one would have believed before. SoftBank now has a hundred-billion-dollar venture fund. It is probably a hundred times the size of anything else that exists. I don’t think that has been seen at scale in Europe yet, but it is affecting the Valley. The second thing that I think is going to occur all over the world, and that we are already seeing in some parts, is ICOs – initial coin offerings. This ability to raise money without venture capital or a national stock market is a disruptor for innovation finance. The big idea was innovation clusters: centres of innovation needed not only entrepreneurs, but also needed risk capital at scale. How many places in the world could you have raised 50 million dollars for Series A? Before ICOs, the answer was about five places: Silicon Valley, New York, Beijing, London and maybe Tel Aviv, . ICOs allow you to do that from anywhere, which potentially changes the notion of where entrepreneurial clusters can exist. One last thing has changed, and this is like an old guy complaining, so it’s kind of funny; when I was an entrepreneur in the 20th century, the only ways investors achieved liquidity that made money, was through an IPO, and an IPO required – at least in the US, and I think in Europe as well – that you had to have at least a year of increasing revenue and profits before serious bankers would take you public. There was no law, it was just what you were taught if you were a technology company. Since your investors wanted to make money and that was the only way to make money, they taught their CEOs and management teams how to make revenues and profits. It wasn’t about users or market shares, it was about revenue and profit, so you learned those skills. In the 21st century that is not the liquidity game. The liquidity game now might be the number of users, market share, or something else. Revenue and profit is not at the top of the list any more. Therefore, entrepreneurs are learning very different skills; skills that are not particularly aligned with revenue and profit, but are aligned with whatever metrics are necessary to increase valuation and fast liquidity. Do you also see changes in M&A activity from the tech giants? Facebook and Google buying everything, for example? people went to work, and how other companies achieved liquidity by being acquired by Google, Facebook and, to some extent, Apple and others. The other new thing, and it’s a new/old thing, is that corporate M&A and corporate VC has got back in the game. Over the years they have been in, out, in again, and now they are not only in, but there are over 200 “innovation outposts”: corporations with offices in Silicon Valley. You have been repeating the simple advice to get out of the building, so what do you think about Augmented Reality and Virtual Reality? Do people still need to get out of the building, or could this new technology do that job? There is kind of hierarchy to getting out of the building. The key part about it is being able to see someone’s pupils dilate. You want to look at their facial reactions when you talk to them. High-quality video teleconference is sometimes just as good as an in-person visit, particularly if distance matters, but it is about watching somebody’s body language. There is a hierarchy of interview techniques: in person, you can see what else is in their office, you can look at their desk, but AR and VR are probably right behind that. Video is next, as long as it has a good enough resolution to see their eyes. Then email. Email is probably a factor of ten less good, because you have no idea what they are doing. Surveys are probably at the bottom of the list. So it is a trade-off between time and distance. If you are in a remote location and it takes hours to get to each customer, then AR/VR is probably just fine. Could you tell us a little bit about the Lean Launchpad Class you have been running for a couple years now. Once we had the methodology in place, we realised that startups were operating by saying, “let’s read the book and go and implement this”. I was teaching at Berkeley and Stanford at the time; the cornerstone class back then – the best class you could take in any University, anywhere – was how to write a business plan. I realised that no one had created a class combining all these Lean techniques, and I realised that it was up to me. So in 2011 at Stanford, in the engineering school, I started a class called Lean Launchpad, which combined all the elements of Lean. We worked on a different part of the canvas each week: you had to get out of the building, talk to 10-15 customers, then present not only what you had learned, but your MVP for that week. Students repeated that for ten weeks, speaking to over 100 customers. Because the class was so radical, I blogged every week of the class, and when the class was over I got a call from the US Government in which they said, “We think you have invented the scientific method for Entrepreneurship.” It turned out that the group that had called me was the National Science Foundation, our Head of Research in the United States. To cut a long story short, the US Government adopted the class to commercialise all science in the US. It is now called the I-Corps, or Innovation Corps. Over 15,000 teams of our country’s best scientists and engineers took the class. It is a law now in the United States – they made it a mandated class. Three years ago, we started another version of the class. The first one was called “Hacking for Defence”, the next was called “Hacking for Diplomacy”, and now there are also versions called “Hacking for Energy” and “Hacking for Impact”. It is basically the same class, except this time students work on real problems given to them by the government. That class is also a Federal programme now, taught in 13 different Universities. So that’s the answer to your question about the Lean Launchpad. Is it also available online, for free? The lectures from the first online classes are still available. Anybody can take the lectures. How do you see the future of the startup movement? Looking back, it is unbelievable. It used to be that entrepreneurship was limited to just a set of clusters, not small business entrepreneurship. Technology entrepreneurship was limited to maybe Silicon Valley and Boston when I started. Domain expertise, mentorship and other elements were very limited, because information was transferred by having coffee with experienced people. In fact, you were limited by your coffee bandwidth if you think about it. The internet changed everything. The minute I write something now, it is available to everyone who has an internet connection. A good example of something that went viral because of the internet is entrepreneurship. It is everywhere, because entrepreneurship information is everywhere, but the limiting factor for entrepreneurship in scale was that risk capital wasn’t everywhere. That’s when we go back to ICOs, which might change that too. Just because you have a cluster of entrepreneurs, it doesn’t mean you have an innovation cluster, because if there’s no capital you really can’t grow those ideas. What are the most common pitfalls you see repeatedly that founders make? The classic one that people still make today is that they kind of understand Lean, they say, “yeah, yeah, that’s great,” then they go and build whatever they want. They don’t really get out, and don’t understand who they are building it for or why they’re building it. The fundamental problem still is building things that people don’t want or don’t care about. The other problem is not understanding that the game you are really in business for is to have a liquidity event. You may think that you are in business to deliver product x or y, but the minute you take money from someone, their business model has now become yours. If you don’t understand your investor’s business model, you are screwed from that day on. If you don’t understand the timeframe and the multiples that your investors want, you are going to be the former-CEO. You should have asked! Are many CEOs removed some time after the VC money comes in? It used to be the norm, but that has changed dramatically in the US in the last five years. They were removed because the CEO couldn’t scale to execution, because you needed an execution person, not only to build the sales force but, more importantly, so you could take it public. Wall Street investors didn’t want to see a 23-year-old. Because product cycles happen so rapidly, the biggest problem is not execution; the biggest problem is continuous innovation – the big idea. In the past you could take one innovation cycle and it would last three to four years – long enough to get liquidity. That is no longer true. In fact, it was the big insight by Andreessen-Horowitz, a venture firm here in the US, for which they were originally positioned as being unique, but now everybody has copied: it is a lot easier to train a founder how to execute than it is to train an execution person how to innovate. Once you think about it, it is pretty obvious. We can hire a COO to stick underneath the founder to run sales, but there is no way you can hire someone to be a founder. You don’t hire founders, you fund them. If you look at what has happened since that realisation, and by the way the data supports this, we went from zero to close to 200 unicorns in that same time. Almost all those unicorns are run by their founders. Big Idea! Do you still do some angel investing? I invest in my students. And if you do invest what do you look for in a founder before making the decision to write a cheque? Can they go through a wall. Meaning: it’s not just the idea, but are they capable of making something wonderful happen against all odds. That is different from an innovator. An innovator is somebody with a great idea. An entrepreneur is someone that can take a great idea and push it through all the way. They’re very rare.